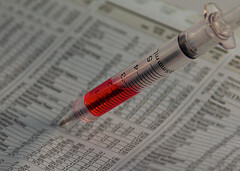 Medicare is Auditing You! What To Do Next? There are a number of different audits that are carried out by Medicare-contracted auditors. It’s important to know the differences and have a plan for responding. 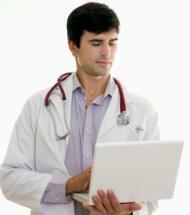 the claims and medical records are reviewed for compliance with Medicare coverage, coding and billing rules. RAC stands for Recovery Audit Contractor and began in early 2009. The RACs detect and correct past improper payments so that CMS and Carriers, FIs, and MACs can implement actions to stop future improper payments. RAC is currently focusing on inpatient services and physical therapy services. As of the date this post was published RAC was not focusing on physician services. ZPIC (Zone Program Integrity Contractors) replaces the Medicare Program Safeguard Contractors (PSCs) and Medicare Drug Integrity Contractors (MEDICs) that are currently in use by CMS. ZPICs are be responsible for detection and deterrence of fraud, waste and abuse across all claim types. ZPICs have access to CMS National Claims History data, which can be used to look at the entire history of a patient’s treatment no matter where claims were processed. Being able to look at the overall picture will enable them to more readily spot over billing and fraudulent claims. Among other things, ZPICs will look for billing trends or patterns that make a particular provider stand out from the other providers in that community. Once a ZPIC identifies a case of suspected fraud and abuse, the issue is referred to the Office of Inspector General (OIG) for consideration and possible initiation of criminal or civil prosecution. ZPIC is widely considered to be the greatest threat to physician practices. How should you respond to a Medicare audit? Log all requests for records from all payers. Time and date all communications received and all communications sent. Scan all records sent and include a cover letter itemizing contents of response. Send records via certified mail. If you get a request for a large amount of records at one time, consider getting advice from a consultant or attorney who specializes in Medicare audits as a large scale record request may cripple the practice operations. How can you be proactive before you get an audit letter? Check the audit sites monthly to see if your specialty or any services you provide are being targeted for an audit. Conduct an internal assessment to identify if you are in compliance with Medicare rules or hire a third-party to conduct an audit for you. Identify corrective actions to promote compliance. ï»¿NOTE: If you need the basics on RACs, click here for my article. Over the past year or so, I have been involved in conducting post RAC (and other) audit analyses to determine whether the RAC (or other auditing agency) was using appropriate statistics and calculations to create their overpayment estimates. As you can probably imagine, in nearly every case, I have found this not to be true. In fact, as it turns out, the errors I find nearly always are in favor of the auditor, not the healthcare provider. The first area has to do with pulling samples for review. If these samples are not random or worse yet, if they are intentionally biased, they can create a misrepresentation of overpayment that unfairly penalizes the provider and because RACs are paid a commission, benefits them. The second area has to do with the way in which the overpayment point estimate is calculated. This is where they come up with something like the average overpayment per audited unit (i.e., claim, claim line, member event, etc.). The third has to do with the methodology used to extrapolate the point estimate for the sample to the universe of units for the healthcare provider. An error in any one of these areas can result in a gross exaggeration of the final overpayment demand. I have developed a series of three short, free webinars to teach you how to catch potential errors in each of three areas. Part 1 will be on validating random samples and is scheduled for Monday, December 13 from 1:00 to 2:00 EST. Part 2 is on how to calculate the overpayment point estimate and is scheduled for Tuesday, December 14 from 1:00 to 2:00 EST. Part 3 is on verifying extrapolation results and is scheduled for Wednesday, December 15 from 1:00 to 2:00 EST. Each webinar will probably last around 30 minutes with an additional 30 minutes for questions. I plan to record these and post them later so if you can’t make it, don’t worry. Each session will be available for review after the last one is completed. For more info or to register, go to www.frankcohen.com and click on the Webinar tab. Also, feel free to forward this on to co-workers or to post wherever you think folks may benefit.